There are so many games for the elderly and few of them really are interesting and brain tickling too. 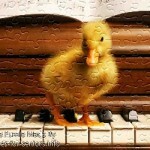 Jigsaw puzzle games are one of those kinds. It provides total fun and entertainment. This game has been enjoyed over a long period of time. 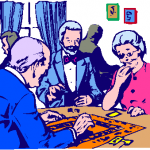 It is a fun way to use your intellect and the best way to relax with your retired colleagues. Though, most of the puzzle and jigsaw games are available online nowadays, but the best way is to play with it is with your friends sitting at your home that gives immense joy and also keeps you in touch with your old buddies. John Spilsbury has been known as the creator of the jigsaw puzzle in the year 1760. 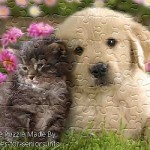 Jigsaw puzzles for the elderly promote various brain activities. They are still not obsolete and they are fun as they provide enough workouts to the brain. 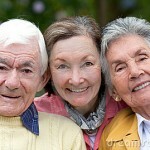 You can also compete with your grandchildren to involve more fun and challenge in the game. It is mostly a means of productive usage of time in your retired days. It also promotes family bonding and a can be a good party game. You can be astonished on how complicated can the puzzle become when you just left one of the clues missed. That’s what all about a jigsaw puzzle. You can find many of the jigsaw puzzles in the game store. They are available in plenty and of different patterns. Originally, the puzzles were made from painting a picture usually on flat cardboard pieces. They are designed in a manner that it gives a confusing look and give a challenge to its players. Few examples that you ought to find on these jigsaw puzzles are scenes from nature, building, castles, mountains and also some based on technology. You can also buy some jigsaw puzzle accessories like boards, cases that are going to make it more interesting activity for the elderly. 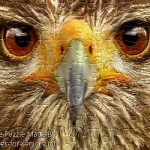 There are many jigsaw puzzle games for the elderly but it depends on how many puzzle pieces the game should be. The more the puzzle pieces the more it’ll be a fun. You can even go for a 1000 puzzle piece; it is a jigsaw puzzle that is a bit hard but has a benefit too. For this game, you can call all your buddies at home for a tea party and then you all can enjoy it together as this will require different teams to solve. You should not be in a hurry to solve the puzzle. Always insist on taking your time, trusting your intuitions and sharing joy with your buddies. So what are you waiting for, go and grab this interesting game for the elderly and call over all your buddies at home and enjoy. I am sure this will give you enormous amount of fun as it is interactive and requires team spirit. Make sure that you choose the best jigsaw and chose the right level as these are two very important factors before you start playing it.